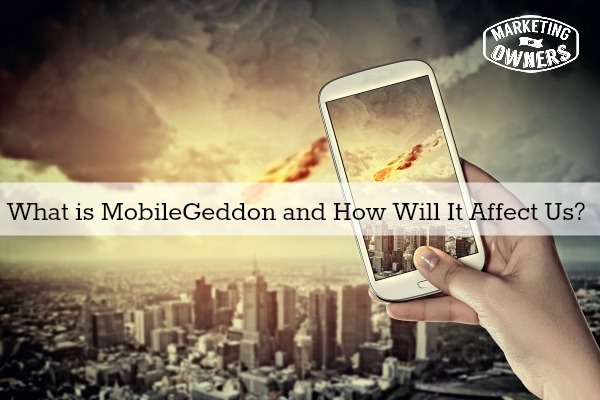 What is MobileGeddon? This will be something new coming out from Google — you remember Google, our old friend who likes to make all kinds of changes to wreak havoc on our sites. For our websites, we all depend on people searching on Google and finding our stuff. Well every now and again, Google Analysis changes its algorithm and the way it ranks websites in its search engine. But this time, Google has announced a massive change and it’s been nicknamed Mobilegeddon. It happened on April 21st, 2015. If you’re watching this after the fact, sorry! You should have subscribed and gotten the download. Google is going to set up a second search engine specifically for mobile search. It’s going to have one for desktop and one for mobile like on your iPhone. It is going to use a different search engine algorithm. But in its preparation for that, it’s trying to teach people that we should be ready for. This is the reason that this change is so major. Google has never ever ever announced in advance that they are going to shake up the search engine algorithm and the way you rank and in their announcement, which I made a little while ago, we have plenty of time for this. In their announcement, they used the words, ‘a significant impact’. In fact it has been tilted that this will have more impact than the panda filter and the penguin filter possibly more than hummingbird. But initially, it seems that it’s likely to affect your mobile rank. Possibly not the desktop but very likely to be the desktop as well. Let me use an analogy here for a moment — If you were ranking hotels, you would rank hotels that keep up with the times? So if lots of hotels offered wi-fi and then made wi-fi free, you would probably think those better than hotels that didn’t bother to offer wi-fi at all and specially those horrible ones that charge you a fortune for it. Google is saying that. Google is saying if you make the effort to keep up with the times, we’re going to show your website to people who search for your products, but if you’re old fashioned and we can tell because we have specially robots that scroll your site. If you’re going to be old fashioned, we’re not gonna offer you up because it makes us look bad. Now, what you may not realize is that I read in a research comment recently that 61% of searches are made on mobile devices. Yes, 61%, that is a lot and it is growing and growing and growing. Google has to face up to the fact that they’re losing some advertising to Facebook on mobiles. Google don’t worry, Google will advertise and make a fortune any way that they can. What you have to do is have your website ready. Use this link to run a test for your website that will give you a result of how it looks on mobile to Google and whether they think it’s good enough. It will tell you whether they give it a green light or if they don’t like it, and it will tell you specifically what is wrong and quite often, it’s things like the links. It happens when you put them into a little tiny smart-phone and your fingers are too close together and we can’t do it so we have to adjust the size of the screen. What you need is either a specific mobile website or a responsive design and a responsive design means that the website will automatically re-size for the devices being viewed on. Personally, I would say responsive design is what you want because to start up a completely different website for mobile uses is expensive, more upkeep and it’s for companies with deep pockets. If you look at the marketingforowners.com website and then go and look at it on an iPhone, it will re-size and it will work. That’s just Genesis, we use the Rainmaker platform which is all the same game but it’s a Genesis template that we use that has been tweeked, as simple as that. You really, really need to get hold of this. If you go back to your website company and they say, okay we can do it, but we’re a bit busy because everyone’s asking it’s going to cost then now, it’s the time to get off that website, and get it moved to WordPress. You can have just a plain Genesis framework, and you can find a web designer on something like Freelancer who will transfer your entire website as it is and the design into WordPress and have it all working and responsive and it will look exactly the same. If you want personally, I’d say go back, listen to what we’ve told you about what the elements of a good website should be and make this the time to change. Don’t update an old website that wasn’t working before. Get it working. Honestly, you won’t regret it. Google will love you and so will your customers and I bet you, hardly any of your competitors are even aware of the Google of this change. You my friend are in the right place. Get it done. Okay, it’s Wednesday which means time for a friendly follow and today, we are going to recommend Sue Anne Dan Levy. 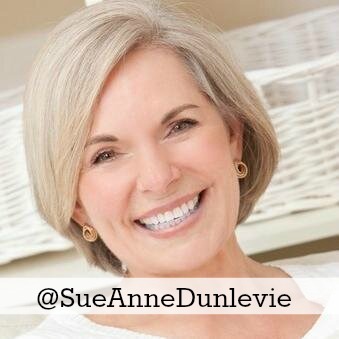 You can find her on Twitter @sueannedunlevie. Sue Anne runs a business, and a website called successfulblogging.com. I love her tweets and she seems to have a great character. She puts a face up there, and she’s very real. She talks to beginner bloggers about all the things that we like to know about, and it is very, very helpful. So go and have a look at Sue, follow her, see what she does and see if you can learn from her do it the way she does it. What do you need to do to your site to get it mobile ready?